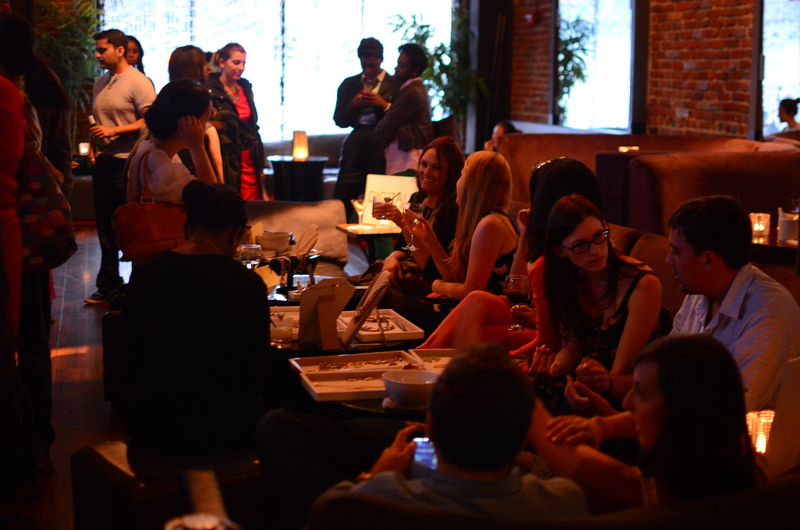 Join Us: Stay Stylish & Network Meetup, 11/21 at Roe Lounge! Our November meetup is upon us! Join us at our favorite lounge in San Francisco,Roe, for a fun night of networking and drinks! Meet and mingle with the individuals you’ve been sharing tech & fashion news with in our DC group. Network. Laugh. Bond. Grab a cocktail. Let’s make November a success! In honor of Thanksgiving we would like to thank all our members for supporting us these past years. You’ve helped shaped Digitally Chic into the community hub it is today. THANK YOU! Join Us: Chic Connection Meetup, 10/17 at Roe Lounge! It’s time for our October meetup held at our favorite lounge in San Francisco, Roe! Meet and mingle with the individuals you’ve been sharing tech & fashion news with in our DC group. Network. Laugh. Bond. Grab a cocktail. Let’s make October a success! Nail Art Startup, Nailed Kit, Launches Today in San Francisco! Our dear friend and Digitally Chic member, Rachel Kim, just launched her new nail art company, Nailed Kit, today! We are more than ecstatic about the launch, as just a few weeks ago we were able to try out her new nail kit first hand and fell in love with it! We even got a chance to show off some seriously cool DC nails (see below!). For those of you wondering just how cool this company is here is a little background. Rachel Kim, the founder of Nailed Kit and a nail art enthusiast herself, noticed that nail art is difficult to do so she set out to find a way to make it easier. Nailed Kit is an entirely new way of getting the latest trends on your nails without requiring nail polish. The designs are simple to apply, much like a sticker, and Rachel’s teamed up with some of the industry’s best designers to create the initial designs. She also wanted to make the experience social, so she’s created Kits specifically for parties and special occasions such as birthdays, bachelorettes and baby showers. You can even custom order a personalized monogram to celebrate the guest of honor! Follow them on Facebook or Instagram! Join Us: Autumn Affair Meetup, 9/19 at Roe Lounge! 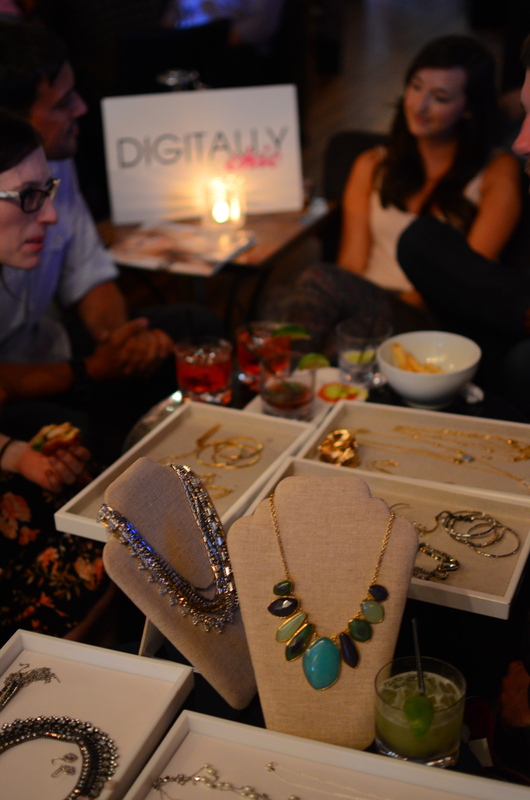 It’s time for another Digitally Chic meetup at our favorite lounge in San Francisco, Roe! Meet and mingle with the individuals you’ve been sharing tech & fashion news with in our DC group. Network. Laugh. Bond. Grab a cocktail. It’s time to kick summer off with a bang! Pictures of our Cocktail Social Meetup from Aug. 15th! Join Us: Cocktail Social Meetup, 8/15 at Roe Lounge! 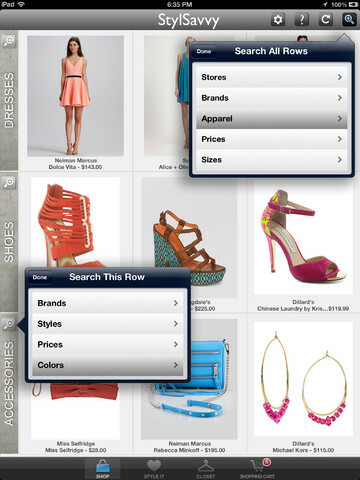 Have you ever wished you could shop all retailers at once from an intuitive and easy to use iPad app? How about being able to mix and match pieces from all kinds of retailers and brands from the same app? What if you could upload your own wardrobe and find pieces to go with clothing you already own at home? Well look no further. StylSavvy, a bay area native and DC member, has made that experience a reality! StylSavvy is designed to shop the complete look from 2,000+ brands from leading retailers ranging from Macy’s to Saks. It has cool scrolling rows that allows you to discover new ways to combine pieces into outfits. The search feature lets you quickly narrow down over 175,000 products to the exact outfit combination you have in mind. You can search by the type of apparel you wish to see, price range, color, stores, and brands. It also allows you to share your favorite items with people via Email, Facebook, and Twitter. There’s a Style It feature, that is like a virtual dressing room, where you can see how clothes, shoes, and accessories go together before you make the purchase. But it’s more powerful because you can combine products from multiple stores as well as items from your Closet to style entirely new outfits or to style outfits from pieces you already own. In order to add your closet items, you simply take pictures of what’s in your closet with the Closet feature. This feature allows you to visualize/organize what you have and it allows you to shop for the perfect piece that will complete your look! How savvy is that? !